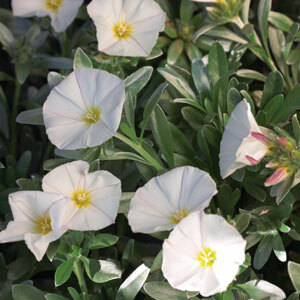 Also known as Silver Bush, Convolvulus White Convolvulus cneorum is an attractive semi ground cover which provides year round interest with its silver foliage and masses of large white funnel-shaped flowers from summer to autumn. 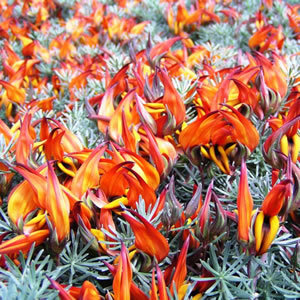 Easy to grow and very hard to kill, Convolvulus is suitable for a full sun to part shade position and is frost tolerant. Requires little water once established. Availability: OUT OF STOCK/OUT OF SEASON! Available to order from mid-April to August, unless sold out.